Welcome to our first Adventure Log! When we first started Evans Outdoor Adventures in 2015, our primary purpose was to share the many beautiful trails we hike. Now, as we are transitioning into retirement and a nomadic life, we are quickly realizing that we need a different approach. First, we simply won’t have the time to write about every trail in detail. More importantly, we think family and friends would prefer more of an overview of the places we visit and how we are living rather than detailed trail descriptions—hence the introduction of our Adventure Logs. Each Adventure Log will cover one week in the life of the Evans, basically our travel journal. 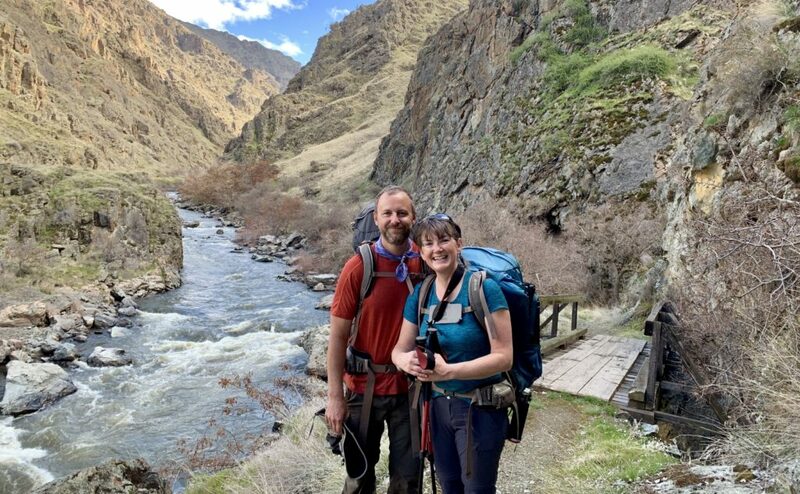 We’ll share sights visited, trails hiked, campsites found, best burgers devoured, upcoming travel plans, and stories of our triumphs and defeats as we adjust to our new lifestyle. 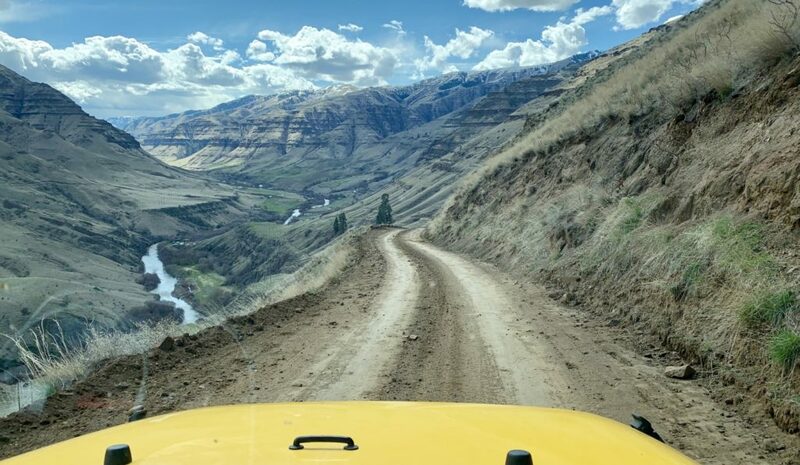 We’ll still write detailed posts dedicated to specific trails or RV topics, but we envision this new series as the cornerstone of Evans Outdoor Adventures moving forward. New posts will appear chronologically on the home page of Evans Outdoor Adventures. Alternatively, one can easily filter and view only Adventure Logs by scrolling down the home page until you see the Categories box on the right hand side. Click on Adventure Logs and the site will filter and display the logs in chronological order. My goal is to post a new log each week on Wednesday for the previous week. Travel schedules and internet availability may not always allow for that schedule, but this is my goal. With that, I bring to you our first Adventure Log. Jason and I hope you enjoy the content and we welcome your comments on ways to make it better! 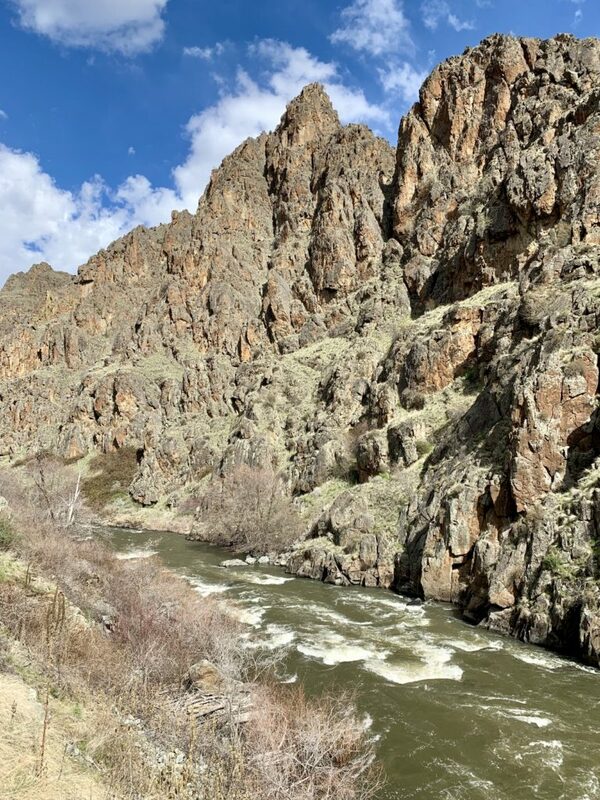 After returning home from our first RV trip of 2019, I saw that the Palouse River in Eastern Washington was predicted to crest over the weekend. Surely all that record snow we got in February would make for some impressive flows. On Monday, March 25, we visited Palouse Falls State Park (click here for park brochure). 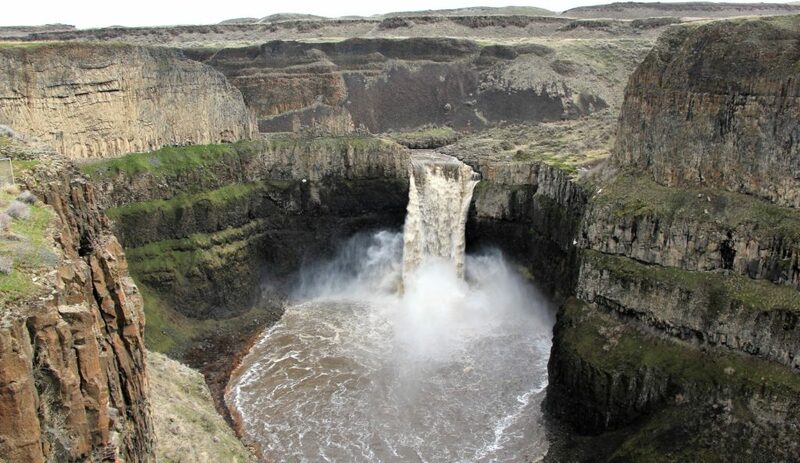 According to the Washington State Park website: the Palouse River runs through a narrow cataract and drops 200 feet. 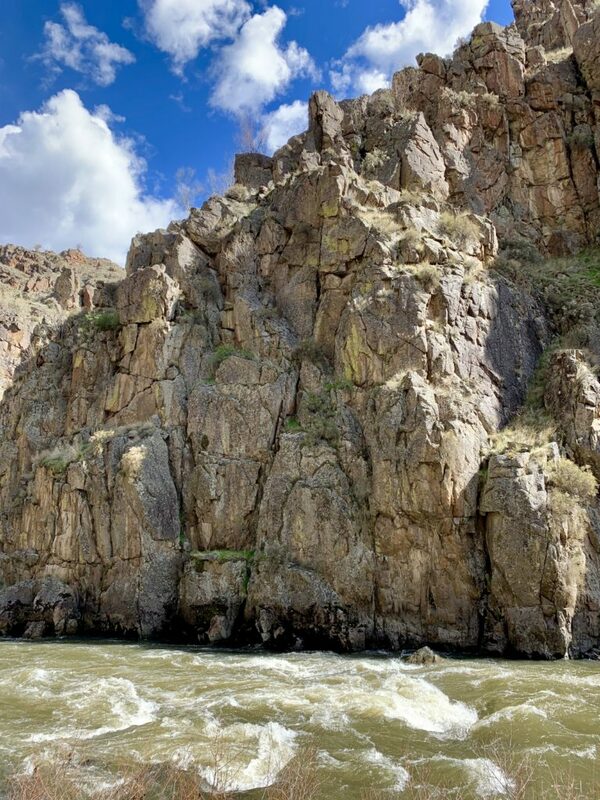 From there, the current moves swiftly, through a winding gorge of columnar basalt, to its southern end at the mighty Snake River. Carved more than 13,000 years ago, Palouse Falls is among the last active waterfalls on the Ice Age floods path. 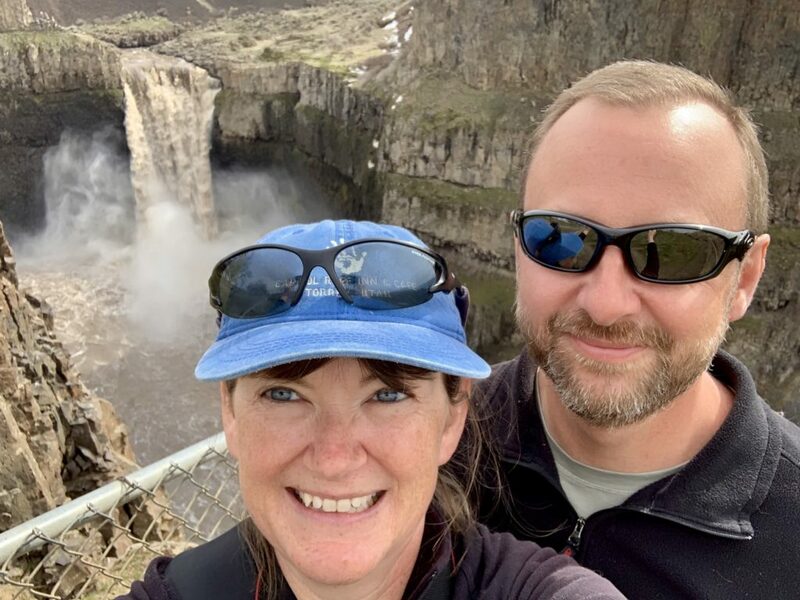 We’ve visited Palouse Falls many times and in all seasons, but it had been several years since our last visit. During that time, several people have fallen to their death due to lack of caution on the exposed trails. The main viewpoints are well fenced and safe for the entire family, but the primitive trails above and below the falls require caution and common sense. Sadly, these accidents have resulted in the closure of the unofficial trail to the base of the falls as well as an explosion of warning signs above the falls. These changes made me appreciate seeing the area before authorities felt forced to take action. The median discharge for the Palouse River on March 25 is around 1,500 cubic feet per second. For our visit, the flow was over three times that. The volume of water coming over the falls was certainly the most we’d ever seen. We enjoyed a roughly mile and a half hike to the fenced viewpoints and then above the main falls up to the upper falls viewpoint. For those who have never visited the falls, I highly recommend exploring the upper trails behind the plethora of warning signs. Just be sure to watch your step, exercise common sense and don’t get too close to the edge. You hike here at your own risk and one wrong step can (and has) resulted in death. 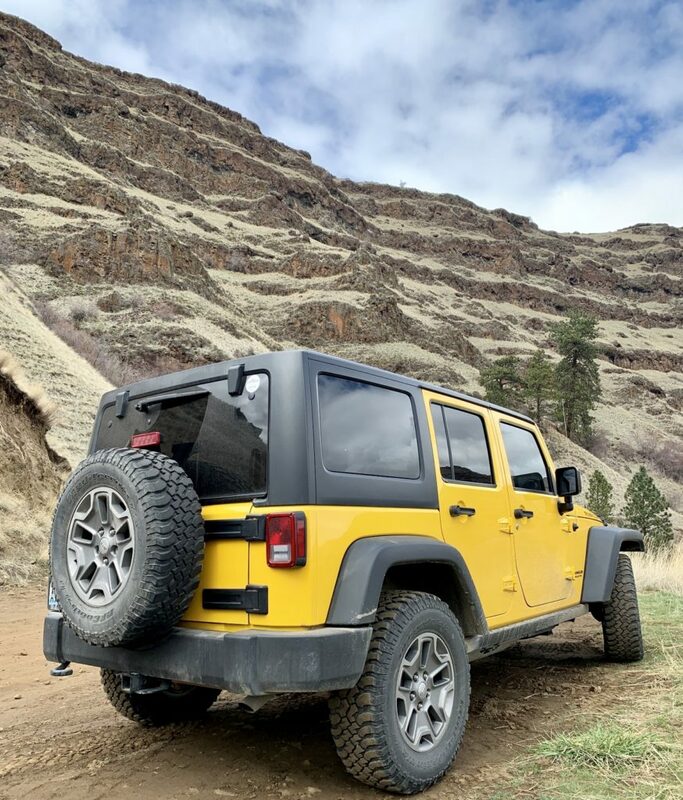 After our visit to Palouse Falls, we enjoyed a picnic lunch at Texas Rapids Park and Boat Launch on the Snake River, just downstream from Little Goose Dam. Texas Rapids has a nice picnic area, boat launch, pit toilets, and three beautiful campsites on river’s edge. This area is administered by the Army Corps of Engineers and use is free. With spring hiking season heating up (no pun intended), we’ve been trying to hit a local trail each day to get our legs in shape. 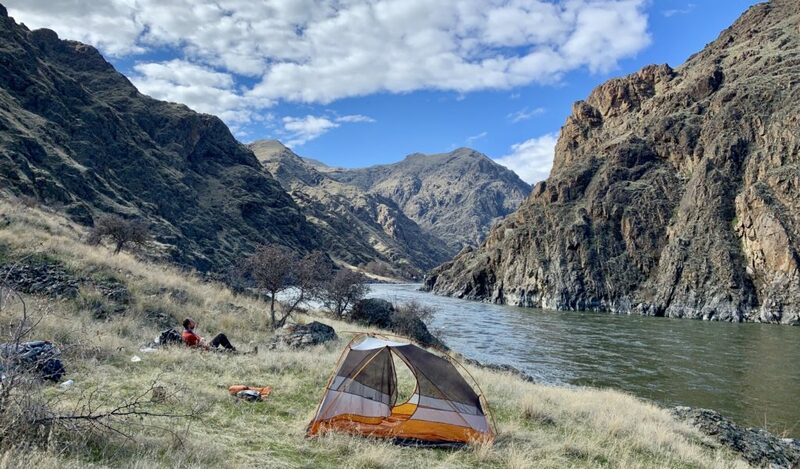 Our closest option is Hells Gate State Park on the southern edge of Lewiston, Idaho. 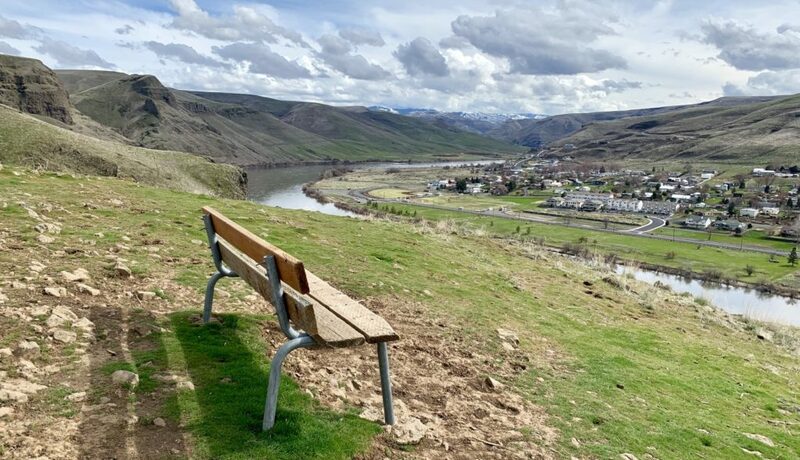 This park along the banks of the Snake River offers a large network of trails (click here for map) that are open year around to hikers, mountain bikers, and horseback riders. There are trails for all abilities making this a great local destination. Our wildlife sightings include bighorn sheep, deer, rabbit, and a multitude of bird species. We finally broke down and visited an area that we never thought would hold much appeal for hiking, the Chief Timothy Habitat Management Unit. We were pleasantly surprised and enjoyed a couple hours there. 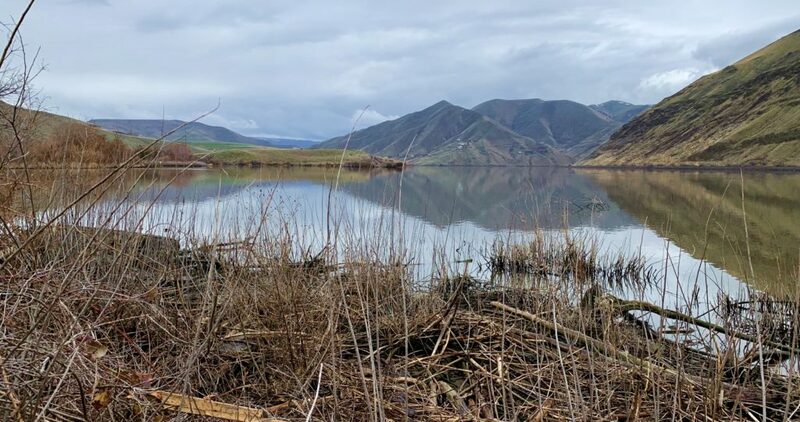 For those familiar with the Lewis-Clark Valley, this is Army Corps of Engineer site is located on a narrow stretch of land between US-12 and the Snake River just upstream from Chief Timothy Park at milepost 428. The 159 acre unit has a nice trail with several side trails leading down to the river. By including all spur trails, we managed a nice 4 mile hike and enjoyed a number of bird sightings. With a near perfect weather forecast for the weekend (sunny with highs around 60 degrees) and with the snow line slowly creeping higher in elevation, it was time to plan our first backpack of the year. 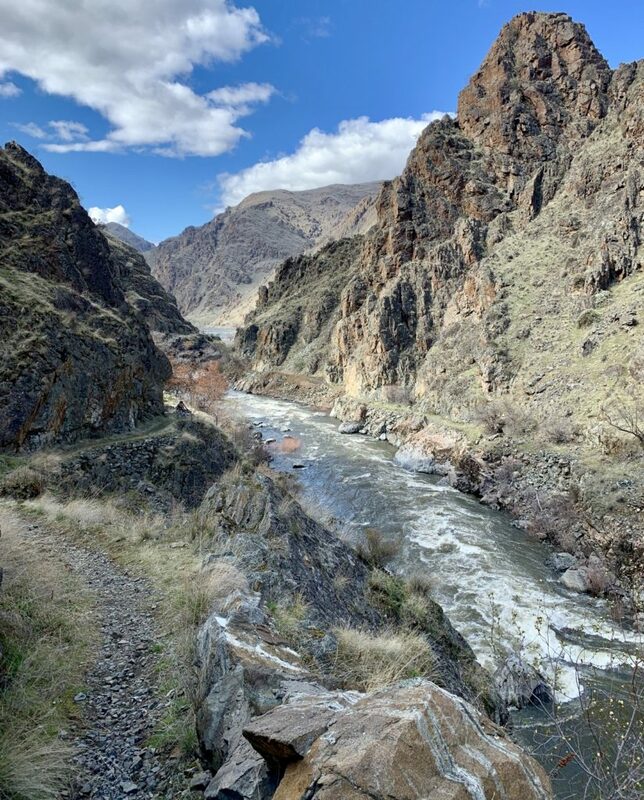 We decided on the lower Imnaha River Canyon to its confluence with the Snake River in remote NE Oregon. Jason has done this pack twice and says it remains one of his favorites. I’ve backpacked it once and found the canyon to be more beautiful than anything I’ve seen in the Grand Canyon. The trick is doing this hike in early spring before oppressive heat, rattlesnakes and poison ivy take over. The drive to the trailhead is half the adventure for this pack. 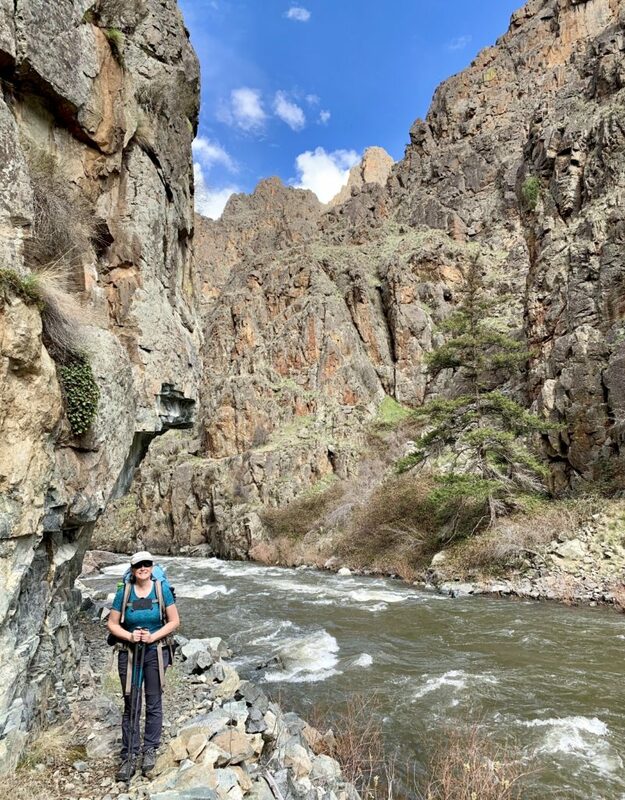 It is a four hour trek that includes multiple winding grades with a cumulative elevation change of almost 15,000 feet and a final 13 miles along rough, single lane road with massive drop offs. 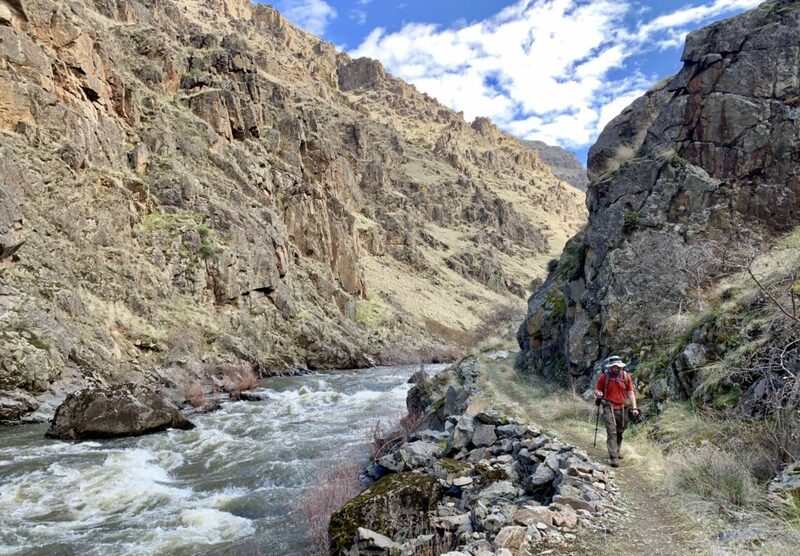 The Imnaha River begins high in the Eagle Cap Wilderness, one of our favorite backpacking destinations. We had great views toward the wilderness during our drive to the trailhead and there is a lot of snow up there! 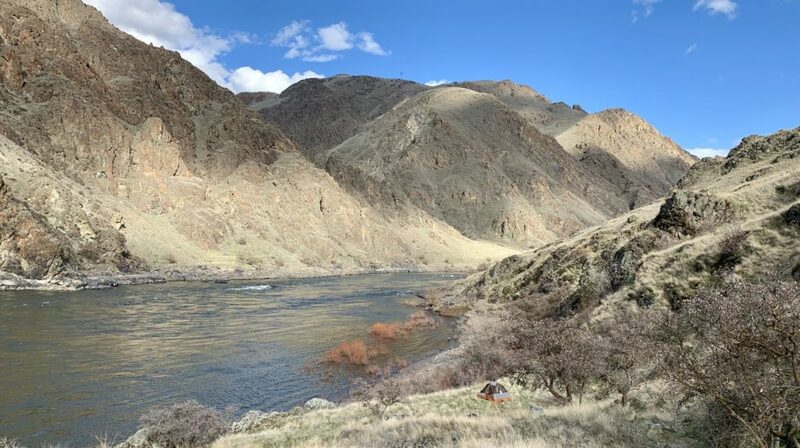 That should make for a good summer in the high country and is currently making for high water levels in the Imnaha as the spring thaw is well under way. We described this trail in detail in our March 2016 post, so I’ll just touch on the highlights here. 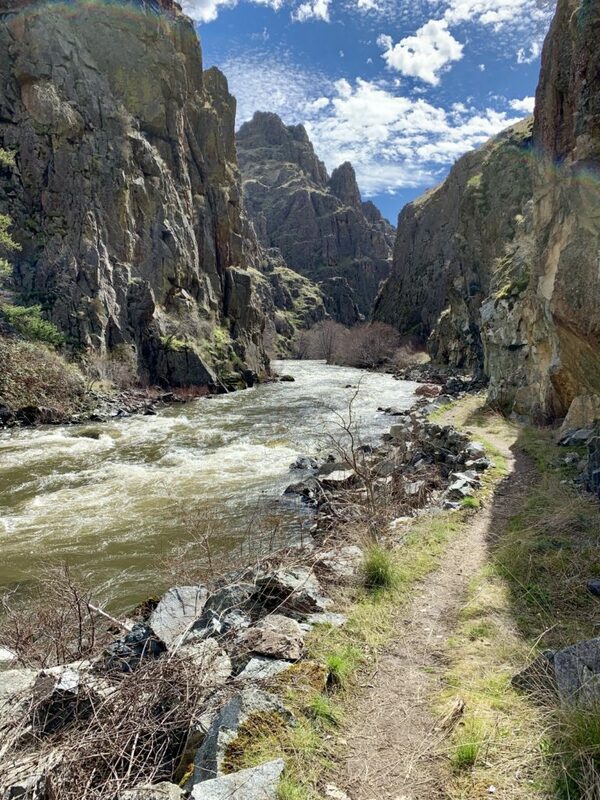 We enjoyed a beautiful day on the trail with several species of wildflowers starting to bloom and the first of the bushes starting to green up. Fortunately, the poison ivy wasn’t leafing out yet and was still easily identifiable by its white berries. Don’t let the lack of leaves fool you though, the branches and berries contain the urushiol oil that can be so irritating to humans. We only saw a few other parties of day hikers along the trail, but we were kept company by the singing birds who are just as happy to welcome spring as we are. By far our most exciting flora and fauna sighting was 18 bighorn sheep at close range. Two were on our side of the trail—one ewe walking the trail and another perched on the rocks straight above us. The remainder were just across the river in a group of 16 that included 12 rams! That is by far the highest ram:ewe ratio we’ve ever seen. 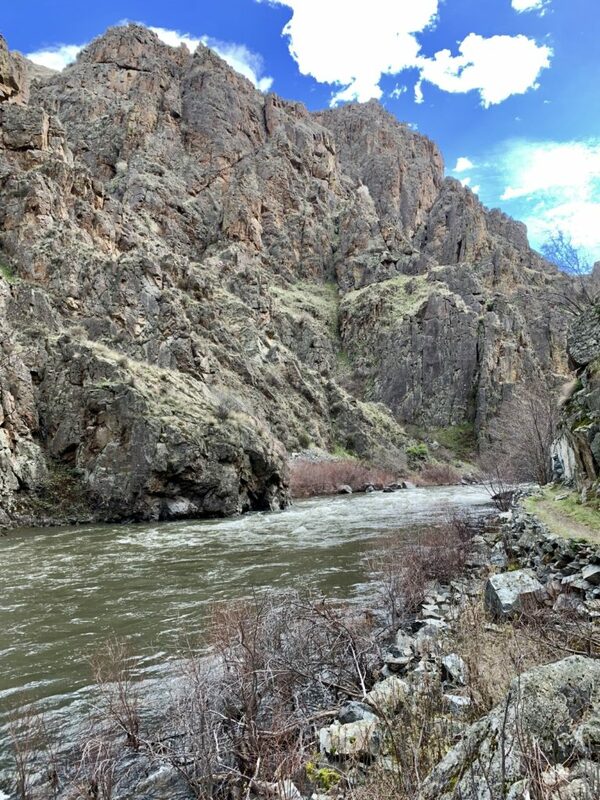 The Imnaha flows into the Snake River at Eureka Bar deep in Hells Canyon. 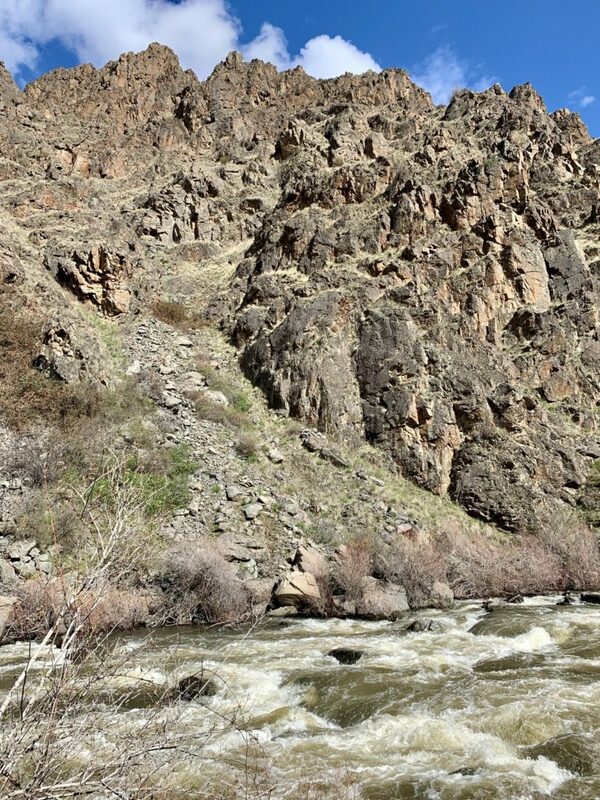 At 7,993′ deep, Hells Canyon is North America’s deepest river gorge. 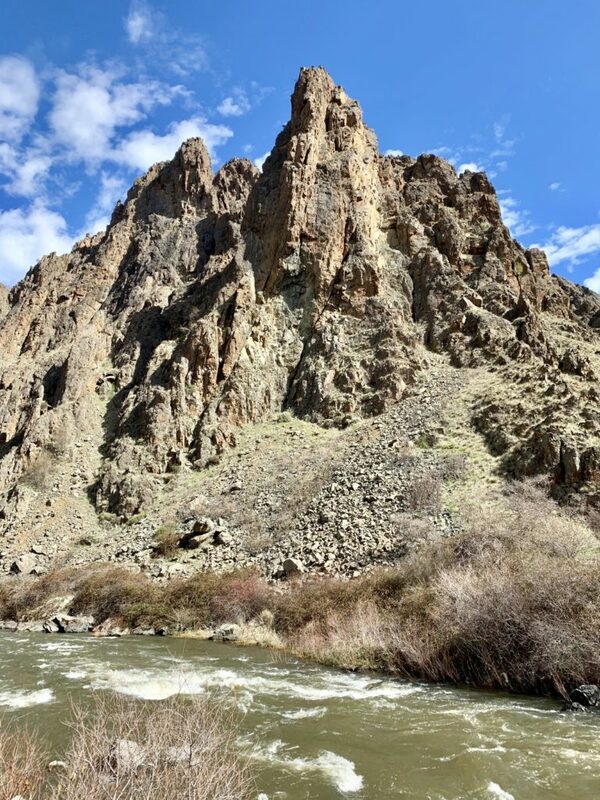 Those who have taken one of the jet boat trips into Hells Canyon have seen Eureka Bar and its distinctive mine foundation. There are several nice beaches near Eureka Bar, but they were all under water. We lucked out and found a nice grassy bench about 20 feet above the river for our camp site. At just 5 miles from the trailhead, this is not a long or difficult backpack by any means. 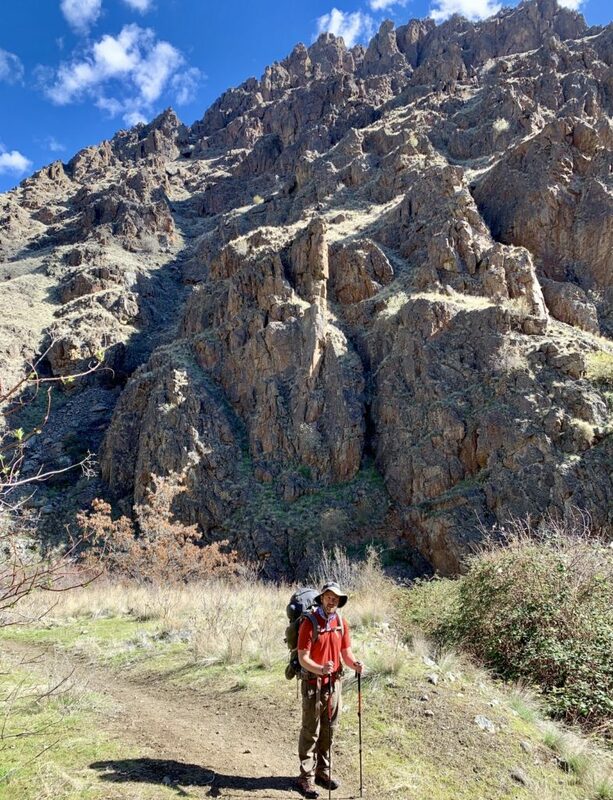 This could easily be done by most hikers as a day hike, but we enjoy spending the night in Hells Canyon in complete solitude. 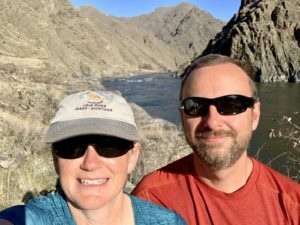 From our site, we had fantastic views up and down Hells Canyon and didn’t see anyone else except two jet boats going down river as we arrived. We enjoyed our time at camp. Clear skies provided great star viewing and also allowed the temperatures to dip to near freezing over night. We had a light frost at camp in the morning, but temperatures rose quickly once the sun crested the towering canyon walls. Our return hike was enjoyable and uneventful other than spotting 14 of the same bighorn high above on impressive cliff walls. On our trip home, we stopped at a new (to us) restaurant in Joseph, Oregon, the Stubborn Mule Saloon & Steakhouse. Jason was happy that they had PBR on tap and they were playing some great Classic Rock tunes. They had a huge menu with reasonable prices for a tourist town and service was great. 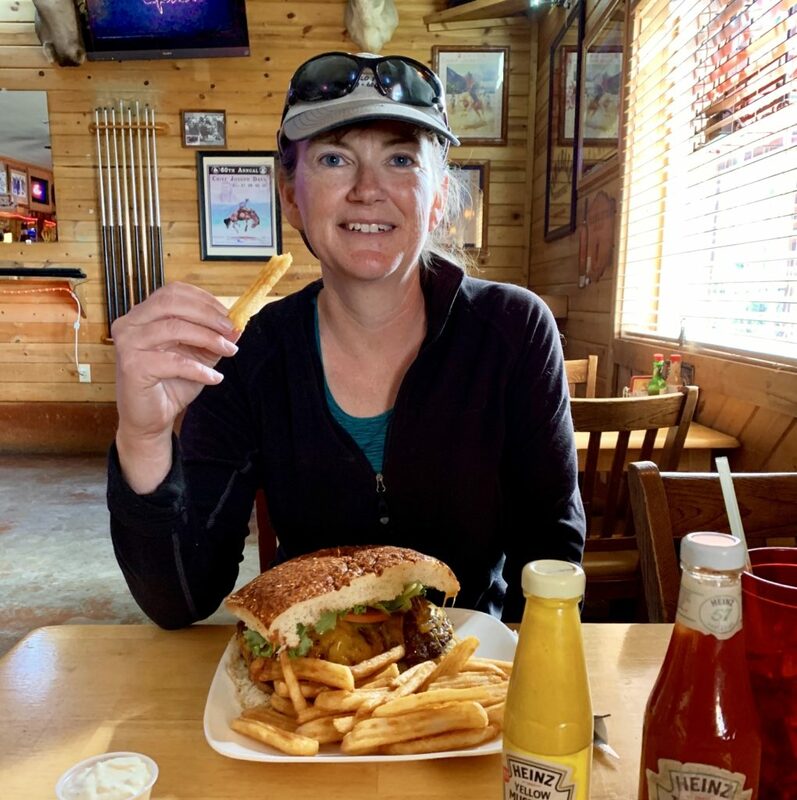 Our half pound burgers (the smallest they have) weren’t the best we’ve ever had due to being a little overcooked and dry, but were good enough to earn a solid B on my score card. no – I didn’t even come close to eating it all! Great pictures! No animal sightings? Next time! Other than the large herd of bighorn sheep we talk about in the blog post? 🙂 We saw quite a few deer on the drive to and from Joseph. I am so happy to see you both living the dream with your semi-retirement. Love your blog and all of the great pictures. I couldn’t be more thrilled for you both! The boys seem to have adapted as well as cats can with riding in an RV. Adventure on!!! Thanks Mom Bennett! None of this would be possible without strict money management which I learned from you! We’re anxious for you and Pa Bennett to retire and join us in some beautiful locations! Love you! Hi. Wonderful hiking trip! I love to see picture on your blog which is attractive and inspiring me to visit the places you sharing. I had a small hiking trip but never long vacation for the trip. Palouse Fall is very attractive. I’m thinking to visit there once of my life (maybe next year). I bought my hiking backpack from http://www.pirt.org/hiking. I think it must be durable and can use until my trip to Palouse Fall. Thank you for your sharing.